If you’re having ASUS monitor driver issues in your computer, don’t worry! you can solve the issue by easily downloading and installing the correct ASUS monitor driver in your Windows 10, 8, 7, Vista and XP. There are two ways you can download and install the correct ASUS monitor driver you need. You may not have to try them all; just work your down the list until you’ve installed the driver successfully. You can go to ASUS website to find and download the latest ASUS monitor driver corresponding with your flavor of Windows version. 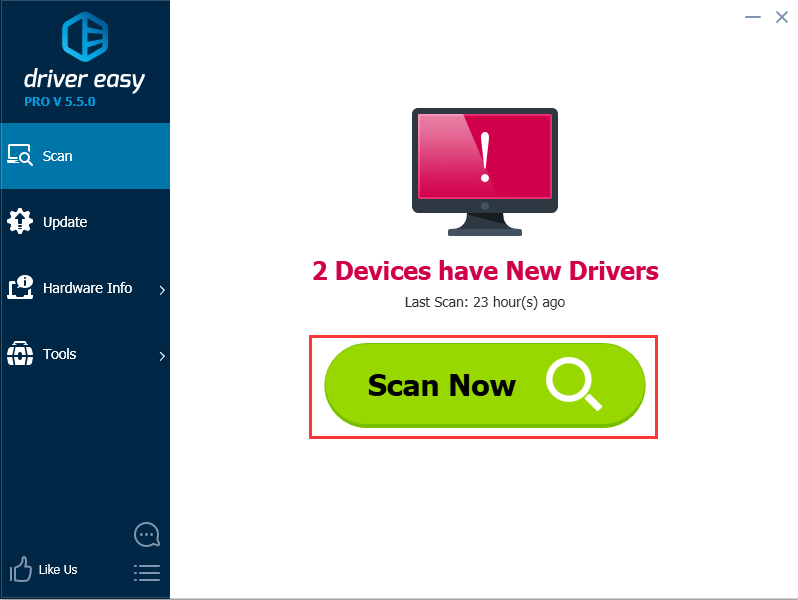 ASUS offers search feature which allows you to find the driver just using the device model. In ASUS official website, type your asus monitor model in the search box then follow the on-screen instructions to go to the driver download page, then you can download the driver there. If manually downloading the driver doesn’t work for you, you may want to try Way 2 to download the driver automatically. 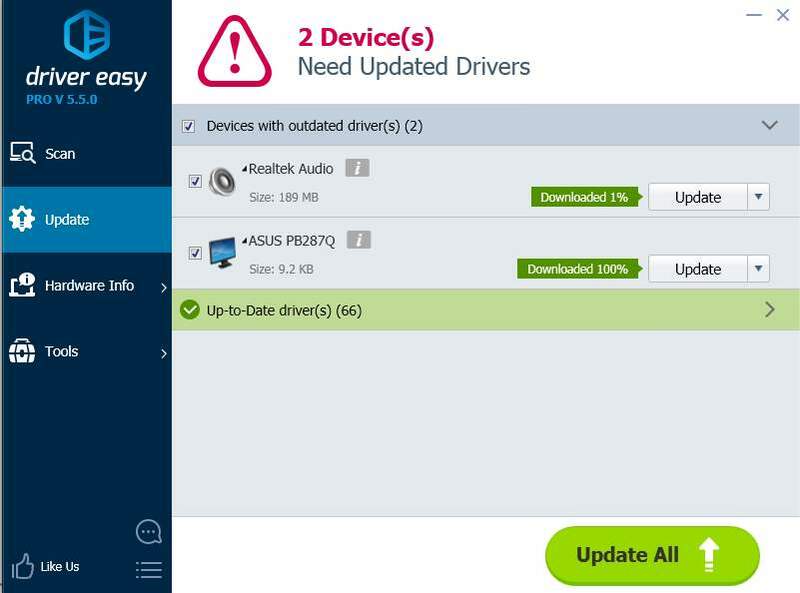 If you don’t have the time, patience or computer skills to update the download the monitor driver manually, you can do it automatically with Driver Easy. 3. Click the Update button next to the ASUS monitor driver to automatically download the correct version of this driver, then you can manually install it (you can do this with the FREE version). Hopefully you can solve the ASUS monitor driver issues with the tips above. If you have any questions, please feel free to leave your comments.